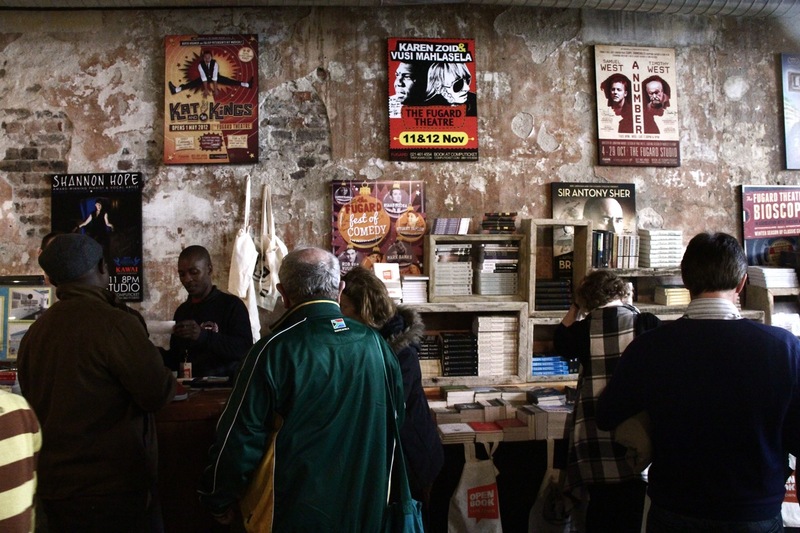 Literary types converged on Cape Town this past long weekend for the 2nd annual Open Book Festival, held within the gorgeous surrounds of the Fugard Theatre, right on the edge of old District Six. It was a time for book launches and readings of award-winning poetry; for coffee, wine and book drives; and for visiting academics, journalists and authors to debate and speculate about the past, present and future of the literary in South Africa. The more bookish of us at Paperight had been so excited about this weekend that we committed to writing small reviews/rambling essays on each panel we attended. Starting today, we’ll publish them here. Will it be an intellectual success or will we incite below-the-line flame wars with our asinine observations? There’s only one way to find out: make the jump! The Cape spring is an elaborate ruse. The greetings of blossoms, newly-budding trees and – that rarest of Capetonian delights – the sun is, more often than not, tempered by the threat of sudden, mood-deadening downpours. 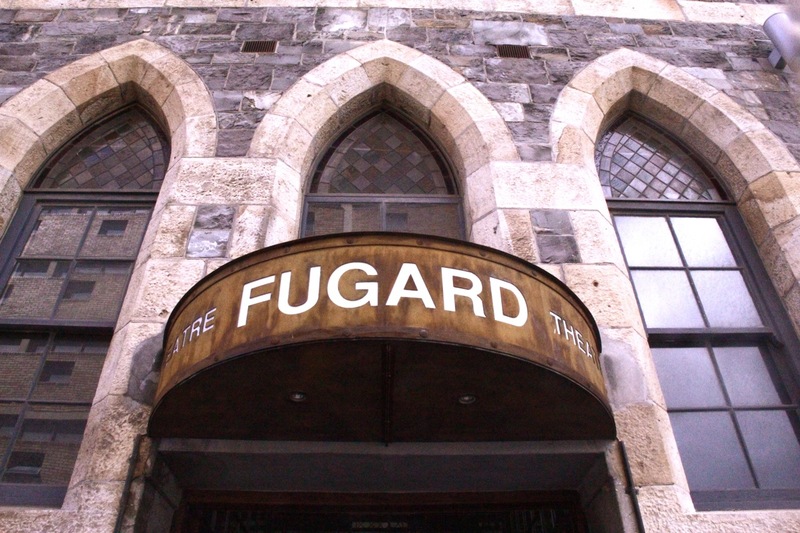 Despite a favourable forecast, the Friday morning of the Open Book Festival invariably went to form, and the foyer of the Fugard became welcome shelter to flustered festival-goers, their hair newly-frizzed; their optimistically-chosen linen shirts damp and sweaty from the not-quite-quick-enough power-walk from the car park on Harrington Street. It was a dreary day, but illumination was to come from more cerebral means. Ten o’clock came around and brought about the Cape Town launch of a book I’d been looking forward to for quite some time: Print, Text and Book Cultures in South Africa, edited by Andrew van der Vlies, and featuring contributions on local book and literary histories from an intimidating array of scholars, authors and historians. 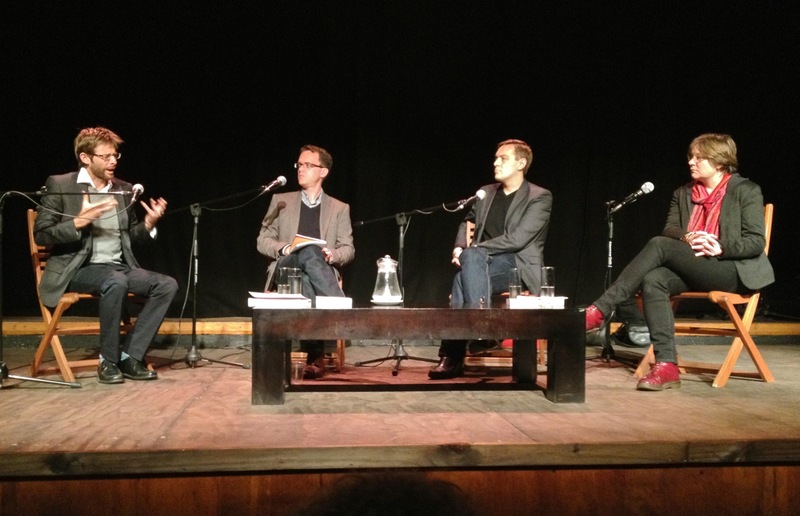 Two contributions to the book came from two old lecturers of mine – Deborah Seddon, from Rhodes University’s Department of English, and Hedley Twidle, from UCT’s Department of English Language and Literature – who, it turned out, would be in attendance at the Fugard, along with van der Vlies and sea-spanning novelist and academic Patrick Flanery, to participate in an illuminating panel that offered précis of, insights into and extensions of the themes and arguments contained in the volume. I’m happy enough to admit that it would be unnecessary for me to summarise the panel in all of its points and digressions here – Sean O’Toole does a much more competent job of that than I would ever be able to over on SLiPnet – so I thought I should rather meditate on a few interesting asides brought about by Twidle’s discussion of the importance and impotence of the Grey archives, Flanery’s ruminations on adaptation and medium, and Seddon’s picking apart of the conservatism of print culture and the limitations of normative conceptions of literature. It would probably be most illuminating to start with the discussion’s first, rather tangential, foray: a meditative aside gleamed from a recent issue of Visi written by – of all possible contributors to a local home décor magazine – Ivan Vladislaviċ. This rather serendipitously-garnered quote – van der Vlies said he’d never seen the magazine before – set the panel’s tone and focus: on books as objects, things that are not just for reading, but used as markers of memory; on how the inside and outside of books are often elided into one: a series of codes, or, in Twidle’s own words, the “reduction of heterogenous culture” – and no doubt a lot else – “into a single form”. More than anything else, however, it brings us to consider the reading of a book as an “event”, a temporally-definite, linear moment of mediation. 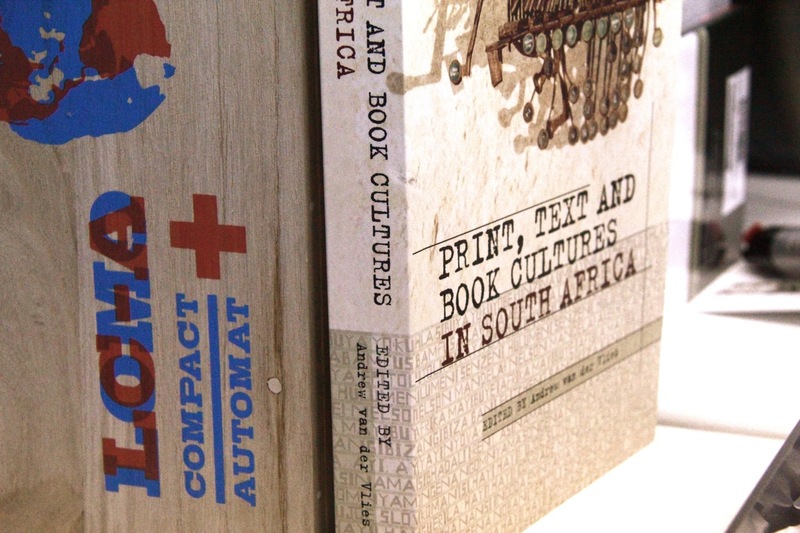 South Africa is often described as a country that lacks a so-called “book culture”. This is probably down to the fact that only around half a million people in a country of 50 million people habitually buy three or more books a year, which itself comes down to the fact that modes of book distribution in South Africa-at-large are fundamentally broken, which probably comes down to the fact that South Africa is only now just beginning to emerge from the shadow a 350-year-long system of brutal minority-dominated economic and political disenfranchisement – among many other things. The validity of that statement aside, however, South Africa is and has been home to a rich storytelling culture, the vast bulk of it taking the guise of oral literature, or “orature”. But throughout the history of South African literary scholarship and education orature has been kept apart from print literature, despite the fact that oral texts, such as praise poems publically performed by imbongi, are just that: texts, with all the same formal qualities as those found in books. Traditionally, however, they are not seen that way: because orature – oral poetry, fiction and history – is not “set” in print, it is not widely considered to be canonical literature. And because of this, Seddon explains, most students of literature only encounter poets like Zolani Mkiva and Mzwakhe Mbuli only after navigating the poetic circuits of Milton and Donne, or prescribed “SA lit” courses centred on Coetzee and Gordimer. The absurdity of such attitudes is heightened when, as Seddon reminds us, the distinction between canonical literature and peripheral utterances can be shown to be quite arbitrary. Take Shakespeare, for example, whose plays were never intended to be printed and distributed in the way they are today. They, apart from a folio or two, initially existed chiefly as oral, ephemeral performances, no different from praise poetry or political speeches. Shakespeare is orature. It is only the fact that contemporary printers decided to cash in on the famous bard’s name – along, perhaps, with the centuries of British cultural imperialism that followed – that Shakespeare sits at the centre of the English literary canon. With this in mind, Seddon argues, it is imperative that “we broaden our sense of the literary” in South Africa to include orature, to place it as centrally – or at least further away from the peripheries in which it kicks about – in our literary canon as it is in our collective cultural history. The imperative that we expand our sense of the importance of literature at its genesis has, in my opinion, a balancing corollary: that we also expand our sense of the importance of how literature is actually read or otherwise received in South Africa. Discussions around the role of the literary in South Africa have been, and continue to, be overwhelmingly centred on the book. The book, however, is a heavy, expensive and not particularly dynamic medium for the sharing and proliferation of knowledge in the developing world. Increasingly, South Africans are taking to other mediums to gain access to texts that they need for recreation or education: almost 100 000 teens and young adults, for example, have read locally-written short stories from YoZa and FunDza Literary Trust on Mxit, and more than double that have signed up to receive free maths and science textbooks from open-source textbook publisher Siyavula on their cellphones. While the tech and publishing industries are giving attention to non-book-centred modes of distributing texts, academia has been slow to react. Take Van der Vlies’ own compilation, for example: the chapters dedicated to “new directions” for print and text cultures in South Africa focus almost wholeheartedly on books and the press, with few or no mentions of historically-subaltern modes of print distribution or what is fast becoming one of the swiftest popular uptakes of texts in South African history. Of course, this probably has much more to do with the gestation period of a collection such as this – one of the book’s many flaws among its innumerable pleasures – and should definitely not be taken as an indication of intellectual stagnation or conservatism on Van der Vlies or any of his contributors’ behalves. If I am allowed to postulate, however, it might have a lot to do with a long-existing, implicit prejudice similar to the one Seddon insists is hampering the widespread acceptance of orature as literature: texts that are received in non-book form are seen as not being as noteworthy as texts that are. But non-book forms of texts have always had a special place in South African civil society. For decades, the Xerox was the only way for students and scholars to get hold of banned texts under apartheid: one woman even said to me after the panel had ended that students “would photocopy photocopies of banned books until the text became almost indecipherable”. Even now, the photocopier is the means by which a significant percentage of students get hold of textbooks, circumventing rising costs in academic bookstores, and by which lecturers like Seddon are able to give their students access to out-of-print poems and speeches in her postgraduate orature courses. The making of so-called “readers” in place of actual books is a typically South African phenomena, made imperative by a lack of resources, and informed by reprographic right mandates put into place by bodies like Dalro. Away from the sort of excellent insights offered by collections like Print, Text and Book Cultures in South Africa, literature on historically-subaltern literature, so to speak, is gravely lacking, and prescriptive and sentimental attitudes that halt the evolution of what we consider the literary to be need to be scrapped. Orature, mobile phones, the Xerox: all hold important roles within our country’s literature, and changing focus to take such things into account is turning out to be a lot like turning around a cruise liner. It has to start at some point, though. At the risk of starting a polemic, I would argue that if we can expand and deepen our sense of the literary in South Africa, in both genesis and reception, the rewards for our scholarship and reportage will likely be immense. The book, after all, is “bound”: setting our notions surrounding texts free will allow a multiplicity and flexibility in meta-literary narratives, enabling us to better understand South African realities and the way stories and texts shape our country.